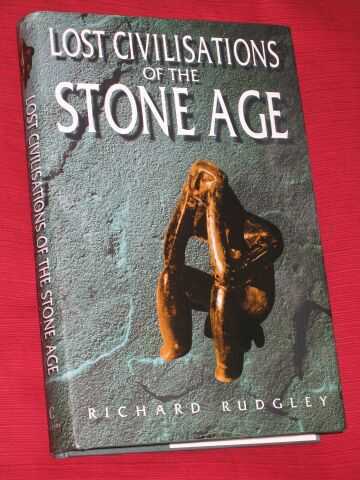 Title: Lost Civilisations of the Stone Age. Description: Century, London, 1998. First Edition, Green Cloth, Illustrated by: Photo's & Drawings. Fair/Fair. 9780712677585 gilt titles spine; A fundamental rethinking of man's role before the dawn of history. Includes accounts of exploration, use of tools, medical practices, and visual arts. Bringing together for the first time evidence from the fields of archaeology, ancient history & anthropology to show how distorted our view of the past may be. 308 pages including index. Size: 8vo - over 7¾" - 9¾" tall. Illustrator: Photo's & Drawings. Quantity Available: 1. Category: Archaeology; Ancient (BC); Anthropology. ISBN: 0712677585. ISBN/EAN: 9780712677585. Pictures of this item not already displayed here available upon request. Inventory No: HST00008.